Choosing teeth whitening treatment from Dental Studio ensures that you receive professionally certified whitening products. We believe that whitening, as with any other dental treatment, should be tailored to the patient and we will never whiten your teeth without first checking your oral condition. 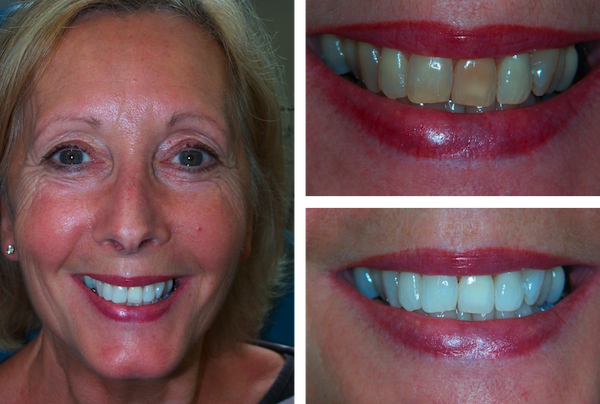 Our aim is to ensure you achieve a whiter smile that meets your expectations. There are different types of professional teeth whitening available. These will be recommended according to your oral condition, the severity of discolouration and the level of whiteness you wish to achieve. In-practice whitening: This is done under the guidance of the dentist and promises immediate results. In-practice tooth whitening is an ideal choice if you have an important social event fast approaching on the calendar. Whitening trays and gels will be used by your dentist to improve the colour and appearance of your teeth. At-home whitening: For those with severe dental stains and discolouration, at-home whitening can prove an effective choice of treatment. You will be provided with whitening trays and gel that are to be used in the comfort of your own home. The dentist will provide specific guidelines on how to use the whitening kit. This option provides a greater level of whitening than in-practice whitening but the results do not occur as quickly. For truly remarkable results, patients can choose to combine the effects of both in-practice and at-home teeth whitening.